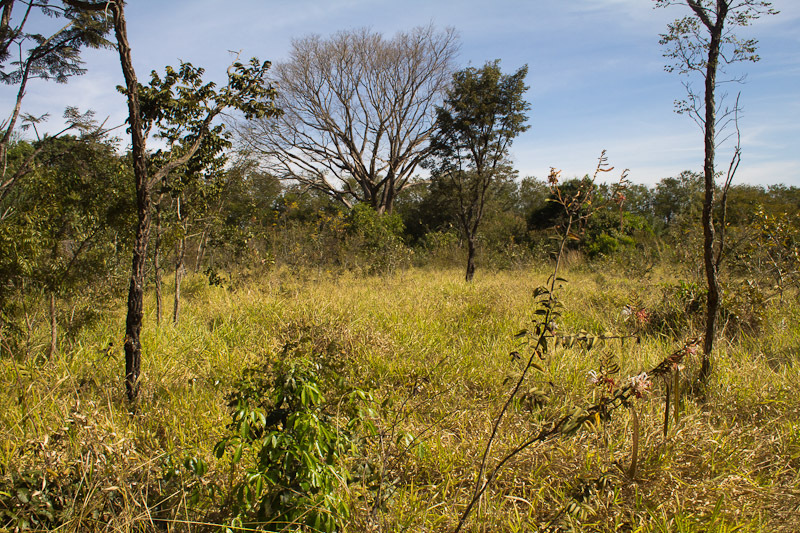 The park is a little slice of cerrado (Brazilian tropical savanna) nestled in the northern part of the city. 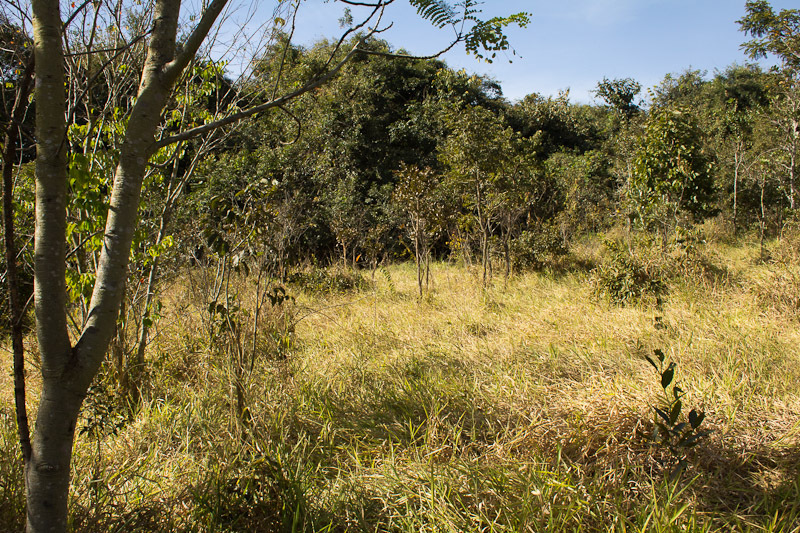 The park comprises an area of about 23 hectares (57 acres) and promotes environmental consciousness. There’s even a small museum that gives visitors a look at the biodiversity of the cerrado. 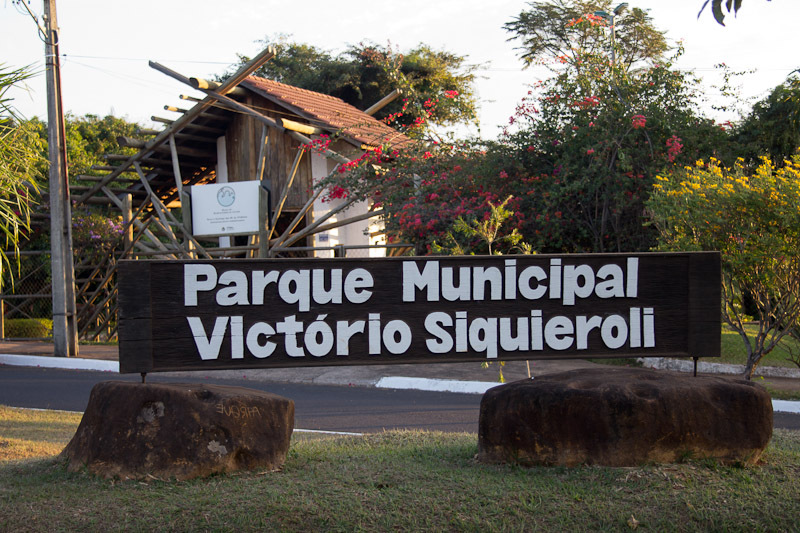 The park is named after Victório Siquieroli whose wife convinced him in 1996 to donate the land to the city for the construction of the park. 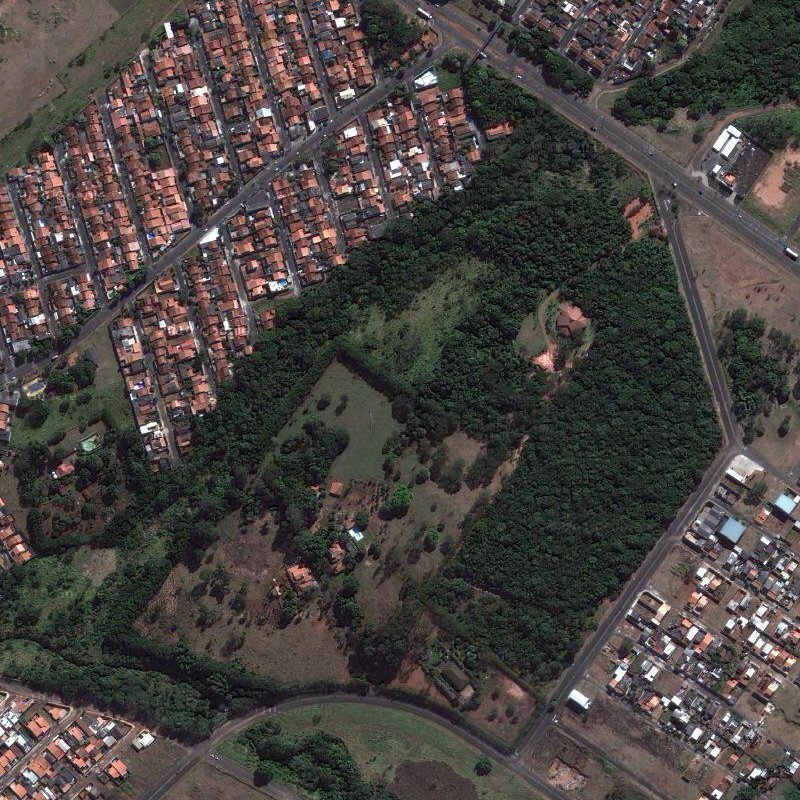 In the satellite image above, you can see that the park has a mix of forested and open areas and is surrounded by mostly residential areas. The entrance is to the Northeast at that intersection. Here’s an interactive map if you want to get your bearings. Uberlândia can be a dangerous place, so before visiting I stopped by to get a feel for the park and to try and determine whether or not I’d feel safe returning with all my camera equipment. I spoke with the gate attendant and asked his opinion. He explained that the park is entirely fenced in with guards patrolling both the entrance with its parking area as well as the trails. I ended up making four weekday afternoon trips to the park and I never felt unsafe. The trails are apparently lightly trafficked during the week, but I suspect they get crowded on the weekends. At intervals I could hear the excited voices of schoolchildren visiting, but they apparently don’t venture far from the museum. Here’s a few photos from within the park to give you a sense of the flora. Now that I’ve introduced the park, look for lots of upcoming photos of the interesting things I found within its borders.